Tickets can already be purchased for the 2019 French Grand Prix, which will take place on May 17, 18 and 19, 2019. The Official Fan Club Marc Márquez will be located in the Honda Tribune – Fan Club Marc Márquez. 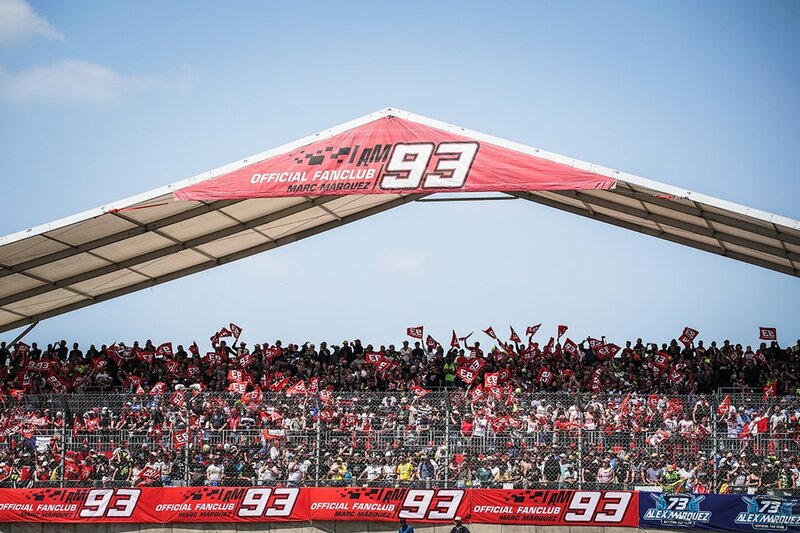 To be able to live this Grand Prix of MotoGP in the stands of the Fan Club, you only have to pay into the Fan Club account (ES85 0081 0282 1800 0117 0326 / BSABESBBXXX of the Banco de Sabadell), indicating your full name and the number of tickets you want to buy, and send us a confirmation e-mail to fcmm93@gmail.com (subject TICKETS GP FRANCE). The price of the tickets for the French GP, the three days is 136 € .